Celastrus Paniculatus is a deciduous vine plant which grows natively throughout the Indian subcontinent. It has been used in various Indian cultural and medical traditions, such as Ayurveda and Indian Unani. The plant, which is widely known as the “intellect tree,” is used to both sharpen mental focus and relax the nerves. It is considered by some to be a more effective memory supplement than the ginkgo biloba herb. These effects are at least partly achieved through the inhibition of reuptake of various important neurotransmitters relating to cognitive performance. Celastrus Paniculatus is also connected to vivid and lucid dream states. The following is a summary of how the Celastrus plant works, as well as the best ways to take it for optimum cognitive benefits. The majority of the effects caused by Celastrus Paniculatus appear to be related to the neurochemicals dopamine, serotonin, and norepinephrine. The plant delays the reuptake of these natural substances, meaning amounts of the chemicals stay high in the brain. Dopamine is the neurotransmitter which generates feelings of intense mental focus, drive, and passion. It is most closely tied with the perception of mental energy, as well as physical pleasure. 5-HTP is the chemical per-cursor to serotonin, the chemical which generates feelings of contentedness and peaceful satisfaction. Norepinephrine (noradrenaline) is a part of the body’s “fight or flight” mechanism, which elevates metabolism in nerve cells in order to make quick decision-making possible in times of stress. 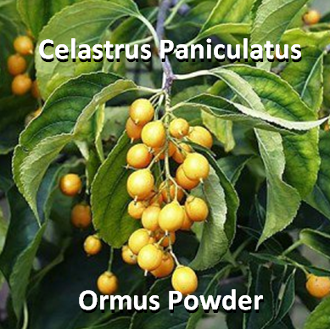 Celastrus Paniculatus has also been observed to boost the amount of acetylcholinesterase enzyme in rat test subjects. This enzyme is closely tied to memory functions in the brain. Celastrus Paniculatus has been described by users online as a “brain tonic.” It produces a light, refreshing burst of mental energy within a short while of consumption. It creates the feeling of fluid, alert thoughts, and heightened concentration. It can be taken as a potent and effective stimulant which makes schoolwork or other detail oriented tasks easier to focus upon and complete. Some describe the effects as more intense and dramatic boosts to cognitive functions, on par with strong nootropic supplements like oxiracetam. Oxiracetam is considered one of the strongest and most efficient of all “smart drugs,” famous for producing intense concentration and memory effects. One unique benefit of C. Paniculatus is its effect upon dreams. Almost all users report an immediate increase in the vividness of dreams, as well as the sporadic ability to exert conscious control over dreams, a technique known as lucid dreaming. The plant is sometimes marketed expressly for this purpose. In general, it is suggested for use as a memory enhancing simulant with strong mood-lifting qualities. It is even used as an effective aphrodisiac. Some head shops sell the seeds as male libido enhancers. The Celastrus Paniculatus plant extract is non-toxic. Tests with rats found the plant to be stable and non-toxic even up to doses of 5 grams, which is dozens of times higher than an effective human dose. Prolonged use in the same tests indicated that the plant may cause impairment to the liver, intestines, and testes over time. It is unclear if moderate human use will have these effects, but anecdotal evidence from centuries of use in Ayurveda do not indicate any additional side effects. Celastrus Paniculatus is an organic plant that has been used safely in Ayurveda and other Indian medicinal traditions for many centuries. It boosts amounts of serotonin, dopamine, and noradrenaline in order to create increased mental focus. It also improves memory with the support of the acetylcholinesterase enzyme. The plant, which is consumed in seed form, can be very strong for some people, and is on par with established nootropic cognitive enhancers such as oxiracetam. Oxiracetam and 5-htp supplements will produce very similar effects and can be substituted for Celastrus Paniculatus, which is somewhat rare online. 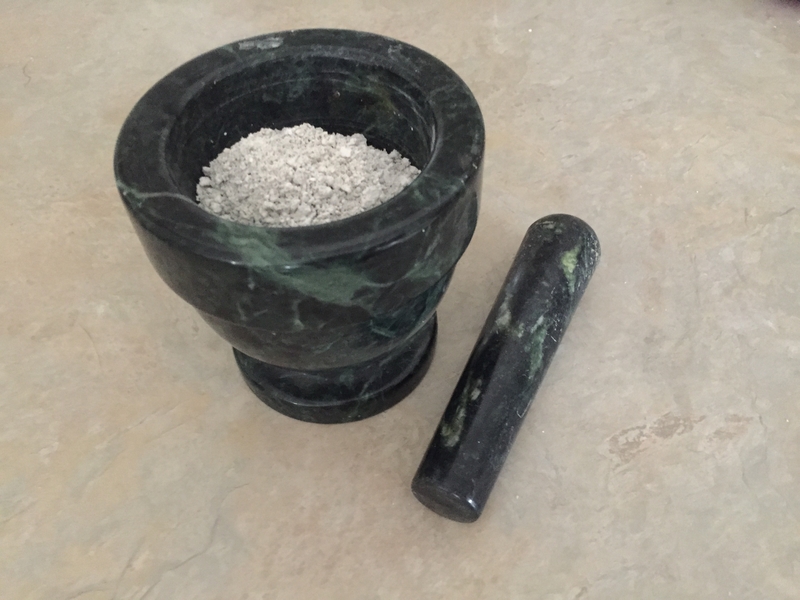 I made this Ormus Powder by taking the Celastrus Paniculatus seeds and blending them up in warm structured water as a base. Then after adding organic dolomite lime I preformed the John Hudson method. After washing it 7 times it's now an off white Ormus powder ready to in-joy. This had a huge amount of bubbles and precip when making this indicating that its Full of minerals. I had to change into a larger bottle to wash it since it was so large.